According to the most recent Global Retail Theft Barometer, in-store theft or ‘shrinkage’ – which includes shoplifting and employee theft – costs Australian retailers $2.7 billion a year. 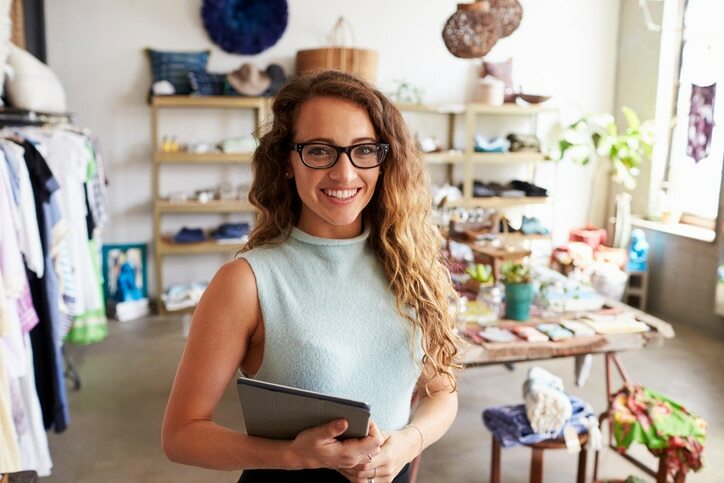 Small businesses are some of the most at risk, so what can you do to avoid falling victim? If surveillance cameras, security tags and door scanners aren’t in your budget, all is not lost (or stolen). Here are some cost-effective and creative ways to stop theft costing you. Shoplifters on the prowl do their best to fly under the radar. Less interaction with staff means less chance of being caught or remembered. This is why you should greet every customer as soon as they enter your store. As well as saying hello, make eye contact and give them a friendly smile. Not only is this considered good customer service, it can also help to scare away any potential thieves. You know they’re there and what they look like, which is a far riskier proposition for them. Before a shoplifter strikes, they usually spend a few seconds getting a lay of the land. If your store has high shelves and poor lighting, and your cash desk is tucked away at the back, you’re more likely to be targeted. On the other hand, low racks, bright lights and a register with clear visibility of the door might just make them think twice. Another thing to think about is where you position those small high-value items. If they’re in your line of vision, they’ll be trickier pickings. Regular stocktake is a good way to tackle employee theft, which accounts for 25% of all retail ‘shrinkage’ in Australia. If you’re looking at sales, refunds, and voids on a daily basis you’ll quickly notice any discrepancies. Cloud-based point-of-sale (POS) software, such as Kounta, enables real-time inventory management which, when integrated with QuickBooks Online, automatically syncs sales with your accounts and adjusts your inventory. If installing CCTV or other surveillance equipment isn’t within your budget, fake it. You can pick up a set of dummy dome or IR security cameras for as little as $20-$25. Many include realistic features such as flashing red lights and rotation. Most importantly, make sure they’re visible. Would-be thieves are more likely to lose their nerve if they think big brother is watching them. Combine them with anti-theft signage for extra impact. If you see someone acting suspiciously in your store, how can you alert other staff members without making it obvious, or risk offending an innocent customer? The answer: a secret code phrase. This could be something as simple as ‘Sarah to the cash register, please’ when there is no Sarah on staff. Anytime you announce it over the PA or in person, employees will know to keep their eyes peeled.